In the wake of the jaw-dropping statistics from the new study of sexual violence in the Democratic Republic of Congo, the Enough Project and 76 other NGOs have written to Secretary of State Hillary Clinton to urge much greater engagement with the crisis in Congo, beginning with the appointment of a special envoy for the Great Lakes region. The letter was signed by 55 Congolese groups and 22 U.S. and international NGOs, including our friends at the Eastern Congo Initiative, V-Day, and Human Rights Watch, to name just a few. 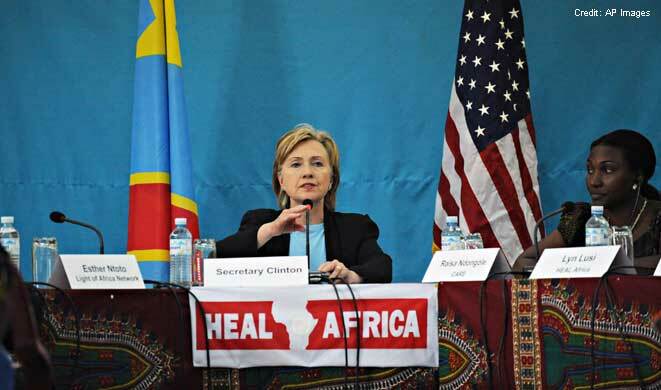 The bottom line is that although Secretary Clinton has made an unprecedented commitment to peace in Congo, we've yet to see the right level of diplomatic action to back up the rhetoric. Let's hope that Secretary Clinton gets the message. Join the grassroots effort to get the urgent need for a Great Lakes special envoy on Secretary Clinton’s radar by signing and sharing this petition.